After a long time without one, I decided we should have a family picnic, enjoy the outdoors, play with sand and run our fingers and toes through sand and grass, eat, and just have a good time bonding. I knew my toddler would love that, and with my six month old, Rayyan, sitting up now, he’ll also enjoy pulling the grass — he loves to grab everything. Homemade Brioche Lamb Sliders with Cabbage Slaw: With my recent love for bread making, I thought I would try making my own brioche buns. Well, let’s just say laziness set in and we ended up using regular deli buns. Also, my garden has been booming with all sorts of glorious cabbage heads, hence the coleslaw accompaniment. I had a slow cooked lamb shoulder recipe I had been dying to try. Sweet Potato Crisps: because they’re healthy and will add texture to the sliders. 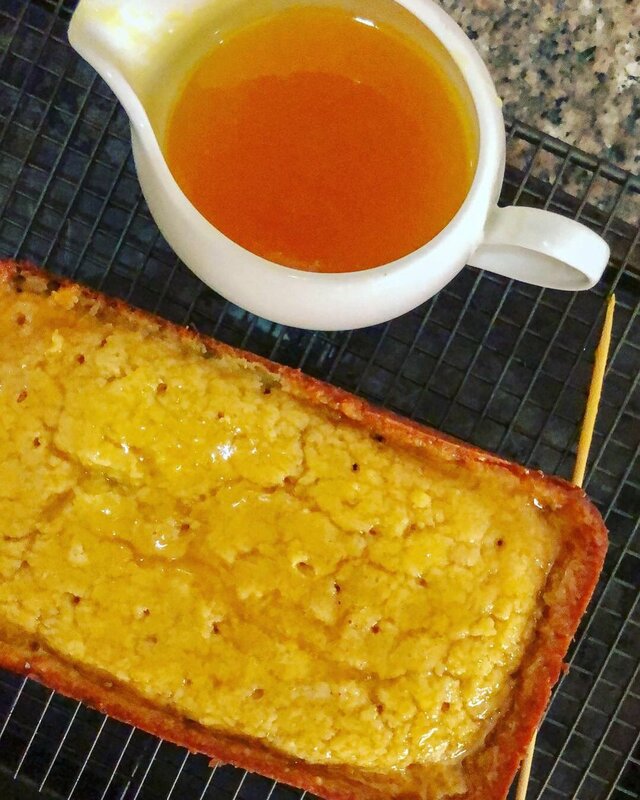 Orange Loaf Cake Drizzled with Orange Sauce: A recipe I saw on Masterchef Australia and really wanted to try. Plus with this weather, we all need the vitamin C.
Fruit Salad: Like I said, we need the vitamins. I concluded my grocery shopping from work the night before, I had double checked at home. I needed mostly the fresh elements and of course my deli buns. Here are the recipes I used in putting together a well-deserved family picnic. We enjoyed every bit of it and can’t wait for our next picnic! Mix the barbecue sauce, lamb cubes, salt, black pepper and red wine vinegar in a large Ziploc bag. Marinate the lamb shoulder in the mix overnight or for eight hours at least. Place the marinated lamb in a slow cooker with the leftover marinade and add the fresh thyme. Allow to cook overnight or for at least eight hours. In the morning, take out the lamb shoulder and use two forks to shred the meat. It should fall off the bone. Put the pulled lamb back in the remaining marinade sauce and allow the meat to absorb the rest of the sauce. 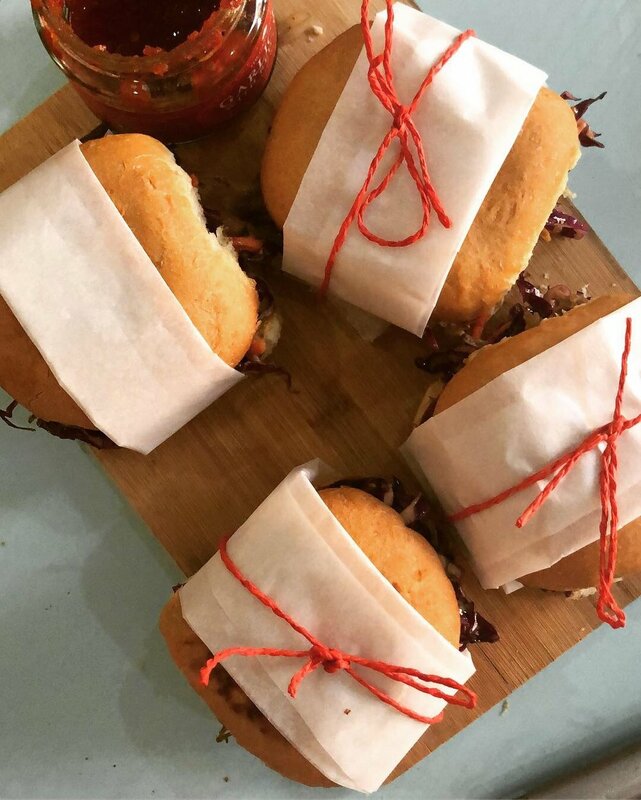 To assemble the sliders, toast the bun and add the pulled lamb on one bun, add some coleslaw and cover it. I used some freeze proof paper and twine to hold the bun together. Place the sliced orange in a food processor, process lightly, add the sugar, butter (till it dissolves), eggs (one at a time), and then add the dry ingredients. Process till all ingredients are well incorporated. Pour the mix in a greased pan and allow to bake for 30 - 45 minutes at 160 degrees celsius. Boil the sugar and orange juice for 3 to 5 minutes on high. When the mixture is slightly syrupy, add the butter and allow to cool. Drizzle on the cake after poking holes on top and allow the cake to absorb the sauce. This was such a hit with the kids and the adults - and so easy to make. Will you be trying it, please let us know if you do! Nov 12 5 (+1) Different and Easy Ways to Cook & Enjoy Eggs!